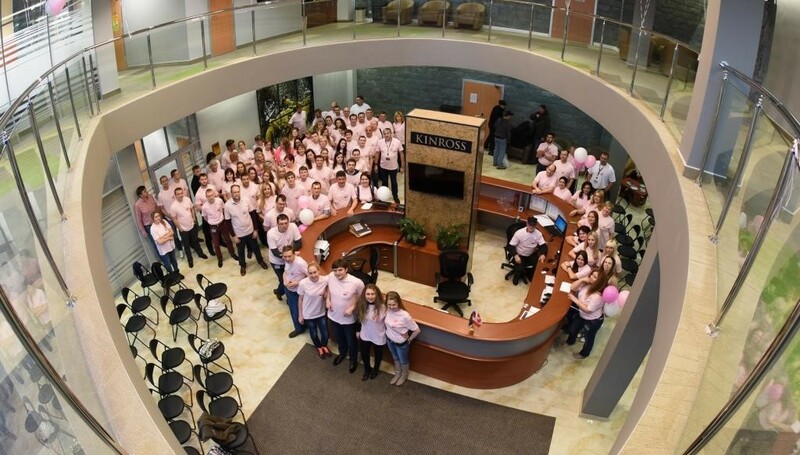 It was a sea of pink at the Magadan office as they held a breast cancer awareness day to educate employees and their daughters about the disease. Employees donned pink t-shirts in support of women’s health. There was an on-site seminar hosted by the head of the Magadan Regional Oncology Ward about breast cancer facts, prevention tips and early detection methods. Photos by Evgeniya Saevich, Regional Manager, Corporate Responsibility and Heidi-May Schimper.